With Nike bringing back the legendary Total 90 Laser I last week, we decided to take a look back a the storied line’s best moments. Nostalgia is one of the most powerful emotions associated with the beautiful game. 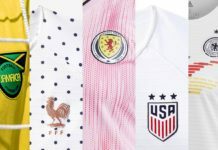 From the endless YouTube highlights of all-time greats to the en vogue status of throwback apparel, it’s not outlandish to say that football reminiscence is at an all-time high. 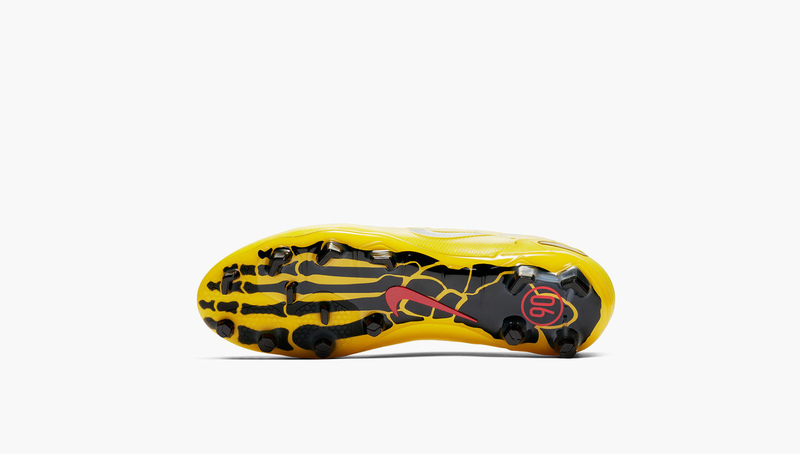 The boot department is not exempt from this, most notably seen with adidas’ Predator reissues in the past two years. Not to be outdone by their German rivals however, Nike sent a lightning bolt throughout the boot universe when it announced the return of the Total 90 Laser I, one of its most iconic silhouettes. 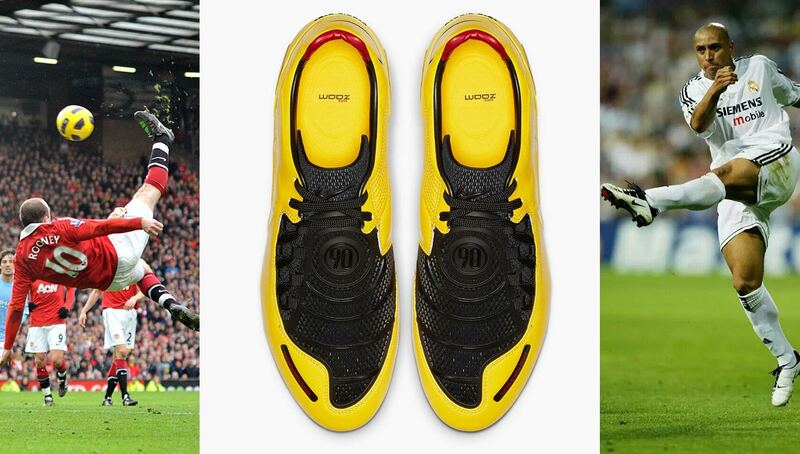 Originally released in 2007, the boots were worn by stars including Fernando Torres, Wesley Sneijder, and Wayne Rooney. The reissue — limited to just 2,000 pairs worldwide — brings all of the boot’s wistfulness with updated technology in the soleplate and stud shape. While the Laser I was perhaps the most memorable Total 90 boot, the entire line was filled with gems, from the original Air Zoom Total 90 released in 2000 to final installment, the Laser IV, released in 2011. 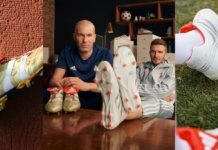 In the spirit of nostalgia, we take a look back at some of the Total 90 line’s best moments both on and off the pitch — from World Cup screamers to its legendary ad campaign. While they may not be as hyped as the Laser models of the mid-late 2000s, the OG Total 90s were some of the best boots of their era, proving to be a worthy competitor to the adidas Predator. Similarly overlooked in favor of his impossible (and wind-aided) shot against France, free kick maestro Roberto Carlos’ strike against China at the 2002 World Cup is underrated but just as brilliant. There’s nothing quite like getting back at your former team. The poster boy of the Laser I, Wayne Rooney scored this brilliant game-winner against Everton, the club that first signed him at 9 years old. He’d go on to score plenty more with the Lasers on his feet, including one you probably remember…(more on that later). One of the most prolific goal scorers of his time, Fernando Torres joined Liverpool after six seasons of starring with Atletico Madrid, and he wasted no time in introducing himself to English football. Wearing the Laser I boots, the Spaniard set a record for most goals in a debut season from a foreign player with his 24th score against Tottenham in 2008. Would he have done so in any other boots? Probably, but his performance only added to the mystique behind the Laser I’s uncanny ability to finding the back of the net. 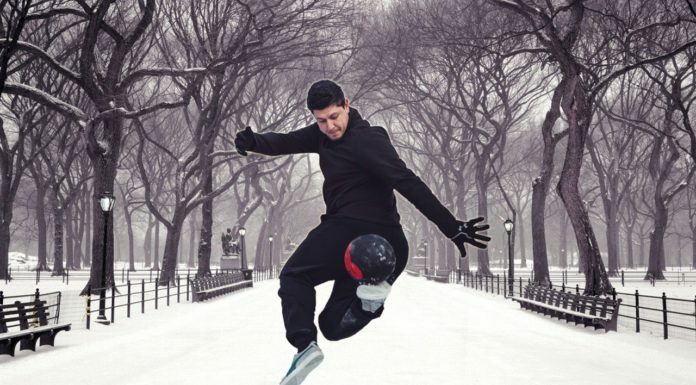 As they do with just about every ad, Nike absolutely killed it with their Total 90 Laser campaign, featuring the familiar faces of Rooney, Torres, Gonzalo Higuain, and many more. Kicked off by the clips of Rooney showing off his pinpoint accuracy, each ad was innovative in its own way. However, none was more memorable than the “Take it to the Next Level” spot from 2008, which featured a first-person view of a player’s journey from grassroots football to the top flight alongside the likes of Ronaldo, Ronaldinho, Cesc Fabregas, and the boss himself Arsene Wenger. Could there be any more iconic moment? With the Laser IIIs on his feet, the Wonder Boy himself accomplished what is undoubtedly his greatest career goal — his bicycle kick against Manchester City. The wonder strike incorporated everything that the Total 90s stood for — precision, power, and a flare for the dramatic. What was your favorite Total 90 moment? Let us know in the comments below!